Is it possible to feel worse after beginning the treatment? Treatment can ameliorate the symptoms of the disease, which might make you feel uncomfortable and weak but while medical procedures can reduce the discomfort that cancer causes, they can also lead to unpleasant side effects. 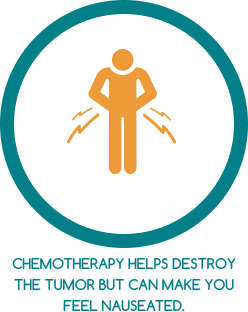 For instance, chemotherapy helps destroy the tumor but can make you feel nauseated. Also, through surgery, the tumor can be partly or entirely removed but risks like pain, infection, and bleeding should be taken into account.